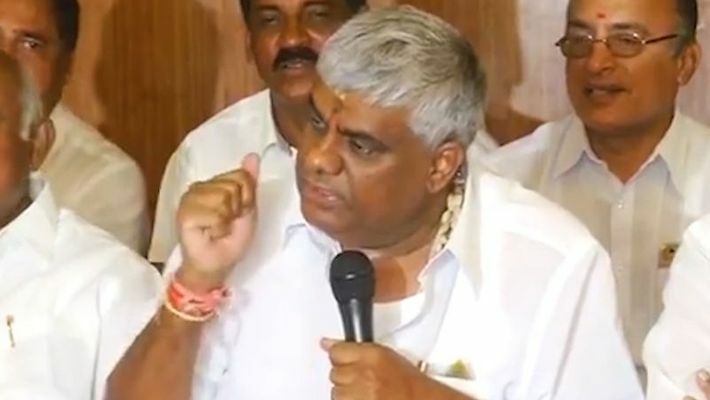 Bengaluru: Relying on astrological calculations, Karnataka minister and former Prime Minister HD Deve Gowda's son HD Revanna on Thursday (April 11) said that he would quit politics if Prime Minister Narendra Modi gets a second term in office. The PWD minister said the UPA would come to power because elections in Karnataka were taking place on April 18, which, he claimed, numerologically suits the Congress-led alliance. "Modi has cheated the state and the nation. What is Modi's contribution to the nation," he asked. "Note it down in the diary what I say today because I will come back to you again – if Modi comes back (to power) in the country, I will quit politics," Revanna told reporters in Mysuru. The minister, who often makes news for his superstitious beliefs and has a strong faith in astrology, gave out some figures. When journalists sought to know the implications of elections in Karnataka on April 18, Revanna said, "You don't know about 18". “Last time the elections (in Karnataka) took place in 2018. Eighteen means one plus eight, which is nine. Because of this combination Kumaraswamy (his younger brother) became chief minister. Again this time there is a combination of 18, whose sum is nine. The UPA will come to power once again in the country," he claimed. Asked what was in the store concerning another election date of April 23 for Karnataka, Revanna said that is a separate issue. The minister was in the news recently for holding at least seven to eight lemons in hand at a public function to address Congress workers in Hassan. His son Prajwal is contesting from Hassan on a JD(S) ticket, a seat vacated by the JD(S) supremo Gowda for the entry of his grandson into politics. Gowda himself opted to contest election from Tumakuru at the ripe age of 87. Gowda's another grandson and chief minister Kumaraswamy's son Nikhil Kumaraswamy is also contesting the Lok Sabha election, from Mandya. The Hassan event saw rebellion by Congress workers who said they would not support or work in favour of Prajwal. Asked why he carried so many lemons in Hassan, Revanna jokingly said, "They are all thieves. They need to be terrorised. It is necessary to keep a few lemons." To the question whether lemons are so useful, Revanna said, "If it wasn't effective, why one would keep it?" He even suggested that the state BJP president BS Yeddyurappa and former deputy chief minister in the BJP government R Ashoka should also carry lemons to ward off the threat of black magic.